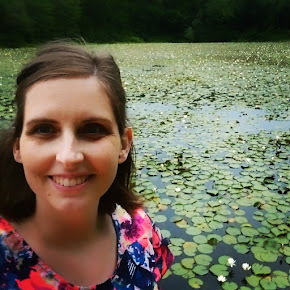 It is so cool that this book was inspired by author Jenni Holm's family history. The book takes place in Florida during the Great Depression. 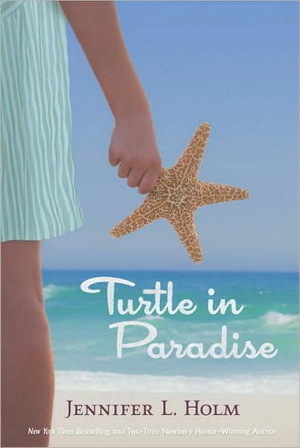 Turtle is a sassy eleven year old, and because her mother's employer doesn't approve of the housekeeper bringing children along, she is sent to live with her cousins in Key West. There she discovers what her rowdy cousins are up to, what an alligator pear is, and what can happen when you dig for buried treasure. I loved Turtle. She is so good at the quick comeback. She's the witty part of me that was always either late to the scene or suppressed by my polite side. She's not just snotty, she's smart and well behaved, and easy to love. I also loved a couple of the characters who love her: Kermit and Slow Poke were my faves. Anyway, obviously Holm did a great job making the characters seem real. Many of the analogies in the book came from the popular culture of the time. Turtle references Little Orphan Annie, Shirley Temple, Terry and the Pirates, and so on. I was fairly familiar with all of the references made. Would kids who don't recognize these icons be put off by these analogies? I don't know. Anyhow, great story. Great writing. Having hung out with a gang of cousins, I can vouch that the spirit of that craziness is well captured here. who is Terry and the Pirates? I've seen this book and thought it sounded good! So glad to hear you liked it.